Which flavor of tea you like is often subjective, but I would like to briefly walk you through “objective” understanding of tea quality. This is general idea and not necessarily all true in specific applications. This is mostly visible in loose leaf tea before and after brewing. Take a look at your tea leaf. Harvest can determine the base quality. Generally young tender leaves are plucked depending on what quality is desired. If the harvest include older leaves, they tend to express more substantial bitterness and astringency, which are generally not preferred for this type of harvest. Mechanical or machine harvest tend to cause uneven harvest. Some young leaves and some younger leaves. For example, ones at the level of the cutting surface is plucked full size while ones a few inches below the cutting surface is plucked only at the tip and ones flushed early may include slightly older leaves. Often times plucking surface is cut even before harvest so no old leaves are harvested. Younger leaves included in your harvest does not degrade the quality much like older leaves. It could be better. The mechanical harvest does not retain leaf shape completely. Although hand plucking generally acheive better quality due to more selective plucking, it is also influenced by pluckers’ experience level. Inexperienced pluckers do not know subtle balance of hand pressure and tenderness of the harvestable leaves for desired tea quality. Bad plucking tends to damage leaves and cause faster degradation. Harvest timing also determines the quality. Spring harvest tends to be higher quality since cool whether slows hardening of the tender leaf. Even within spring harvest early harvest generally holds more delicate flavor compare to later harvest. There are some regions that found a way to take advantage of seasonality to process and express different characteristics. In such case, spring harvest, summer harvest, winter harvest are all interesting to compare, or maybe not compare but enjoy separately. High altitude tends to have higher quality than low land (sea level) because of lower temperature keeps the young succulent shoots from hardening although low land tea might grow faster because of higher temperature. Elevation too high can be problem due to frost damage. Tea is basically sub-tropical plant and does not like frost very much. Certain varieties are bred to withstand frost, but they may compromise some qualities. Processing can affect the quality of tea in many ways. Many people know that green tea, oolong tea and black tea come from the same plant, camellia sinensis, just processed differently, but this talk focuses primarily on green tea. 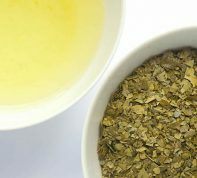 Basic green tea processing goes through following steps. These steps are slightly or greatly modified depending on regional variations and types of green tea processing to reach the end product. For example, longjin or dragon well is pan-fired and shaped into flat leaf while sencha is steamed and rolled into needle shape. By heating the green leaf, enzyme present in tea leaf becomes dysfunctional. Emzyme is responsible for oxidation of tea leaf which causes tea leaf to turn black. Duration of oxidation determines which types of oolong or black tea you end up with. For green tea you do not want any oxidation so you stop oxidation at very early stage (or kill the green). Initial heating process is very crucial in setting aroma in green tea. Too little heating can create uneven heating thus partially oxidized leaves while too much heating will lose the fresh green aroma and occasionally add burned taste to your tea. It is this subtle balance of initial heating that creates excellent aroma. How can you tell? It takes a bit of experience, but once you know how it should taste, then it is easier to detect the bad ones. Rolling of tea leaf allows tea to gain deeper flavor. Although it sounds simple to roll the leaf, but it takes back breaking hard work. Knowing the exact timing of rolling and softness of the leaf requires some experience. Rolling also evenly distribute moisture content of the leaf and prevents premature partial drying of tea leaf which generally leads to burns and powders. Drying tea leaf is much more complex than just removing moisture out of leaf. It has different moisture levels at different areas of tea leaf and drying process has to remove the moisture evenly from the leaves. Uneven drying generally causes tea to taste like old rug or not fresh tasting. Further understanding green tea processing gives me more room to experiment how to improve our green tea processing and also to learn the unique characteristics of tea in types of harvest, weather conditions, tea varieties, and even in what goes in the soil. 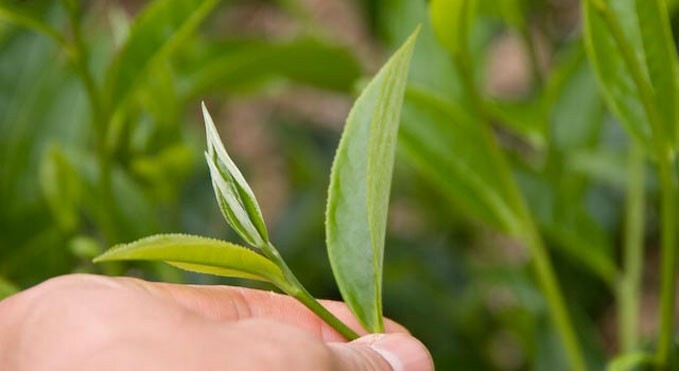 Flavor of tea is often affected by what kind of environment the tea is grown, how farmers care for the tea, and the type of processing to make the tea, but the origin of plants themselves are also considered to be an important factor. Tea originated in the mountains of Yunnan province, China. There are many old tea plants that are actually large trees. Tea plants traveled to various parts of the world and penetrated into local culture. 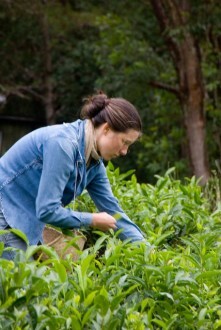 This also created preferred flavor, processing techniques to achieve that flavor and unique varieties or traits of tea plants. Commonly known differences are Assam varieties are known for fruity and floral aroma, thus makes good black tea, darjeeling is known for its elegant aroma which can be easily distinguishable from Assam and other black tea producing regions. Tiekuanyin and taiwan oolong express long-lasting floral aroma, while sencha emphasizes fresh and vegetal quality. It becomes quite obvious when you do tea processing. 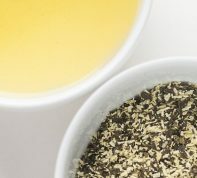 Black and oolong tea varieties can be processed into green tea and makes good looking green tea, but when you finally taste it, often it is disappointing. Since high level of polyphenol in black tea varieties tend to create the strong residual impact in black tea, but when you try to make green tea, it becomes too much. 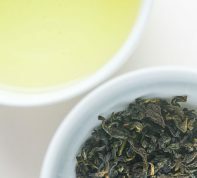 Although there are few cases where this combination actually create great unexpected result, but I have also witnessed lack of aroma from oolong tea and black tea created from green tea varieties as well.